If you would prefer to ring in the new year with a classic comedy than a night of endless queuing for over-priced shandies, the Lighthouse is the place for you tomorrow night as they screen Billy Wilder’s 1960 gem The Apartment. 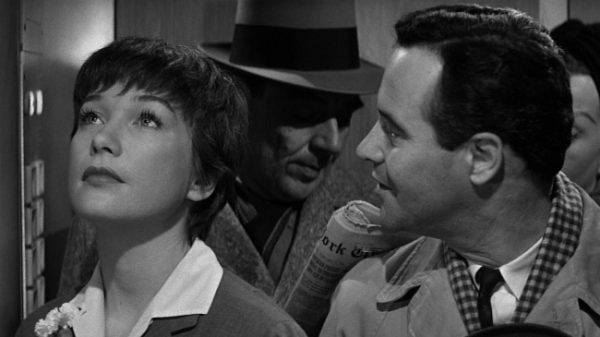 Jack Lemmon is at his loveable best as the mild-mannered office drone who falls for Shirley MacLaine’s elevator operator, who happens to be having an affair with his boss (Fred MacMurray). Should you prefer to end the year on a gory note, the Lighthouse hosts a late Friday night screening of seasonal slasher New Year’s Evil. 2017 begins in promising fashion with the release of A Monster Calls, a children’s fantasy with plenty of food for thought for adults to chew on. The tale of a young boy whose imagination conjures up a giant tree monster (voiced by Liam Neeson) as a way of coping with his mother’s impending death, this is one you’ll need a box of kleenex for. Neeson can also be seen in Silence, the latest from celebrated director Martin Scorsese. Following two Jesuit priests as they search for their disappeared mentor in 17th century Japan, where Christians are being persecuted, it’s elegantly made, but very much aimed at a Christian audience; anyone else will likely find it a slog. Conversely, the Christians are the bad guys in Assassin’s Creed, an adaptation of the popular video game. With an impressive cast led by Michael Fassbender, this was tipped to be the first great video game movie, but it’s a turgid misfire. I’ll take the Resident Evil movies over this one any day.